NBA Twitter lit up on Tuesday night with one word: BOBAN. 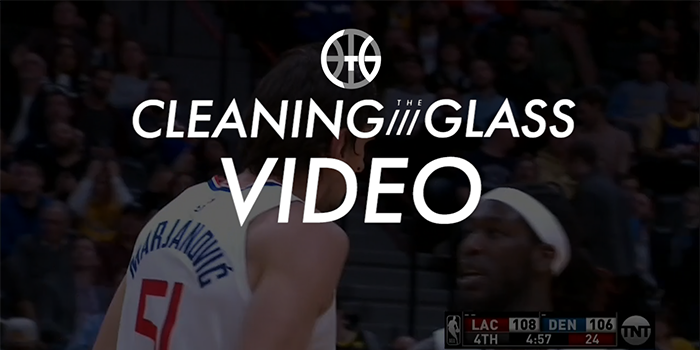 Boban Marjanovic was seeing his first extended playing time as a Clipper, on national TV, doing Boban things. He played big fourth quarter minutes and helped the Clippers to a big win, rebounding, finishing, drawing fouls and sinking free throws. The Clippers missed 8 field goals with Boban Marjanovic on the court last night – and he had 5 offensive rebounds. That’s an offensive rebounding percentage of 62.5%! Which raises the question: can Marjanovic do this more often? He was very effective in Europe, putting up astronomical rebounding rates while scoring very efficiently. The Spurs signed him in the summer of 2015 but only played him 350 minutes of non-garbage time. In those minutes Marjanovic did the same thing he had done in Europe: rebounding like crazy and scoring extremely efficiently due to strong finishing and very high rates of drawing and converting on free throws. That offseason he signed a lucrative contract with the Pistons — but Detroit didn’t play him much either. He was dealt to LA in the Blake Griffin trade and finally saw real playing time on Tuesday night. These stats, though, hide the 7-foot-3 question: can Boban hold his own defensively in the modern NBA? The skill and space explosion seems to have driven the behemoths of yesteryear into extinction. Is Boban simply an anachronism? His previous coaches clearly thought so. And there’s real evidence of this: Boban’s defensive pick-and-roll numbers are not pretty. He doesn’t seem to have the foot speed to chase on the perimeter, but dropping him back hasn’t been effective either. 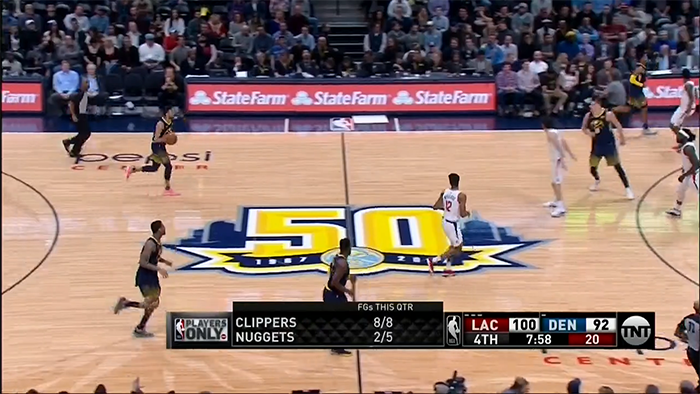 All of which was a prelude to a player vs. player chess match on one possession. 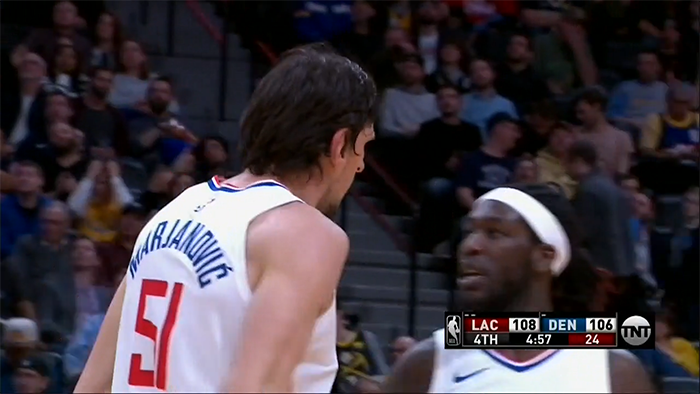 During a free throw, Montrezl Harrell and Boban have a conversation, and on the ensuing possession they have switched matchups: Harrell is now on Nikola Jokic, Boban on Wilson Chandler. 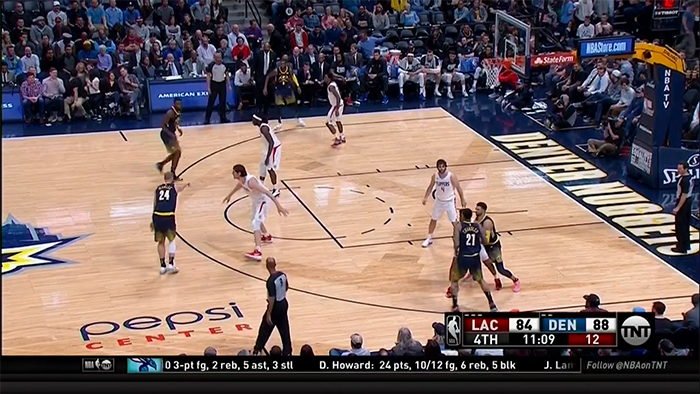 This would keep Marjanovic out of the pick-and-roll and allow the fleeter-footed Harrell to corral the ball handler while Boban guarded the rim.